English Rose had a school holiday earlier this month so we spent a long weekend in Ottawa, Canada’s capital city, forty-five minutes by car from where we live. 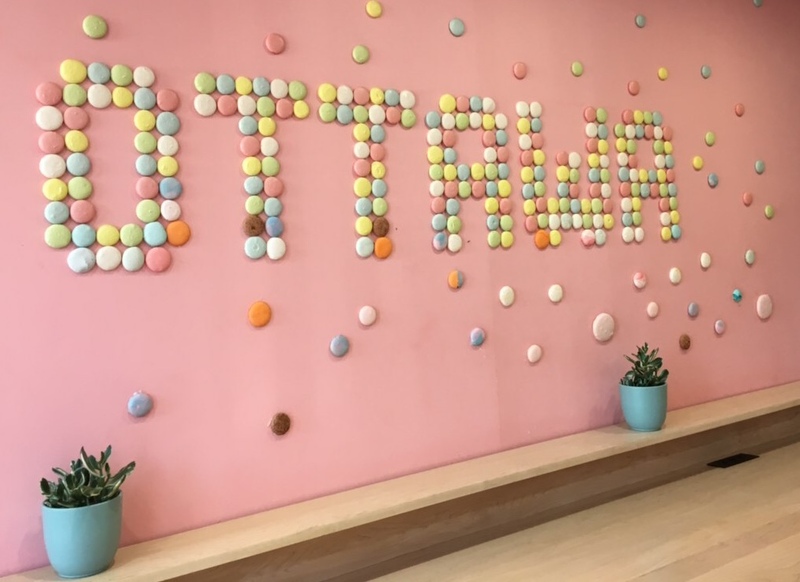 Although we visit Ottawa every few months, it’s usually for medical appointments, brunch with family, or to visit a specific store. 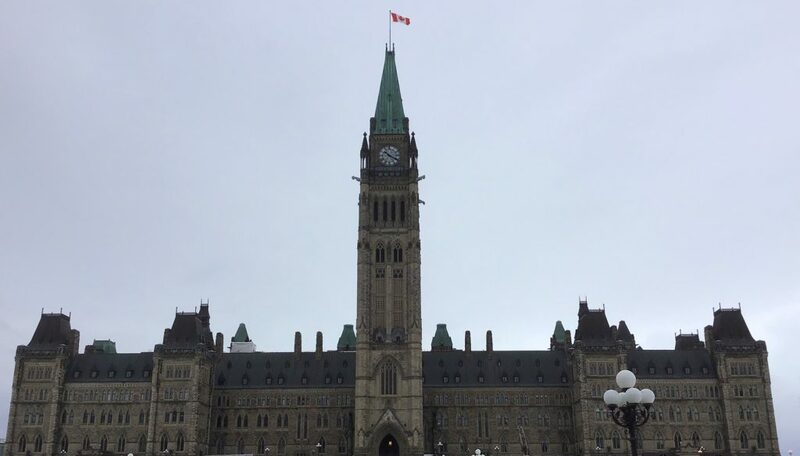 And then we go home again, rarely venturing into the city centre or experiencing the myriad of attractions that draw visitors from both within Canada and beyond to Ottawa year-round. This time, though, we decided to play tourist, close to home but still ‘away’ thanks to booking a hotel and sending Floppy Ears to dog boarding for a few days. After a long, harsh winter when I stuck close to home, it was a treat to go somewhere else and see new things. We walked around Canada’s Parliament Hill (still reassuringly familiar since I worked near there almost twenty years ago) and enjoyed street art commemorating notable Canadians. A family favourite? 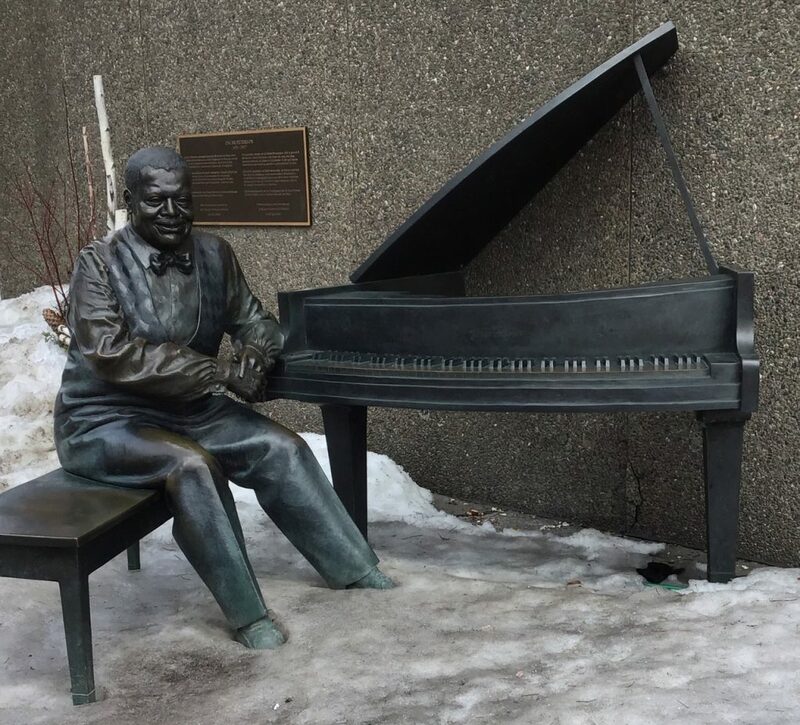 A sculpture of jazz pianist and composer Oscar Peterson, complete with music. We also explored the Byward Market, a a shopping and dining destination where Tech Guy and I went on our long ago first date. While I love many things about my small-town life, shopping is limited and both English Rose and I were keen to check out spring city style. We walked and we shopped—and we shopped and we walked…almost five miles in one day! We came home with a few new spring fashions, although not in the yellow hues we saw everywhere. And as someone for whom bra shopping is both frustrating and traumatic, I’m now the owner of two new and well-fitting undergarments. Oh, the joy of not having wire digging into my rib cage, or flesh spilling over a too tight band like cream bursting from a profiterole! I also discovered a small Asian shop similar to those I remember in Hong Kong (cue a new tea coaster for my writing desk), and browsed in a large branch of Chapters-Indigo, Canada’s biggest bookstore. Starting with the hotel’s buffet breakfast, one of the best parts of a vacation for me is food. 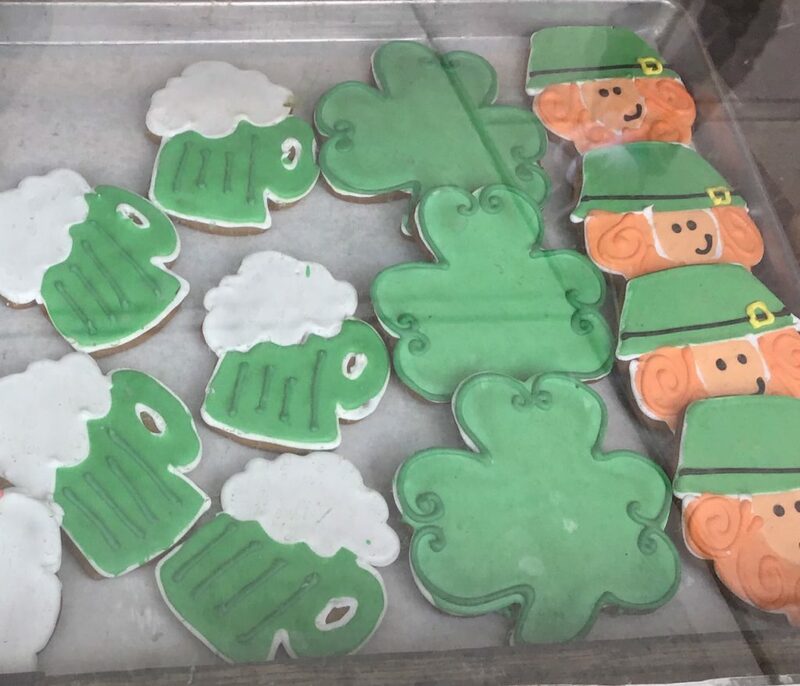 From ice cream to a French patisserie, and from seasonal cookies to Beavertails, that most Canadian of treats, a type of fried dough made to look like a beaver’s tail, we had several days of sweet snacking indulgence. For main meals, we were also spoilt for choice, settling upon a wonderful Italian restaurant one night and local landmark Zak’s Diner (where I’d last gone when I was a student) another. And luckily, even though I and the world have changed, the diner’s milkshakes are as good now as they were back then. The true benefits of our mini vacation, though, weren’t in the sights we saw, the stores we visited or the food we ate. English Rose is growing up and, when I looked around that diner and saw young women like I’d been—and who English Rose will soon be—I realized that in the years to come these almost-taken-for-granted family times will be increasingly fleeting. So, as we made memories, I reminded myself to stop and appreciate where I was and who I was with—and to celebrate both that mini vacation and the family I hold dear. As for Floppy Ears? She had a wonderful time at dog boarding and came home tired enough to sleep for the next two days, freshly bathed, and a bit lighter in weight after channeling her inner greyhound and running almost non-stop around fenced woods with the wind at her back—and through her ears! Thanks for the virtual holiday, Jen! It is important to get away occasionally and just make the most of being somewhere different or, as in this case, being somewhere familiar, but being there for a different purpose. It’s a way of recharging the batteries. A simple day out can lift the spirits and make you feel better. Love the pic of you with the mountie! And thank you for reading and commenting, Susanna. 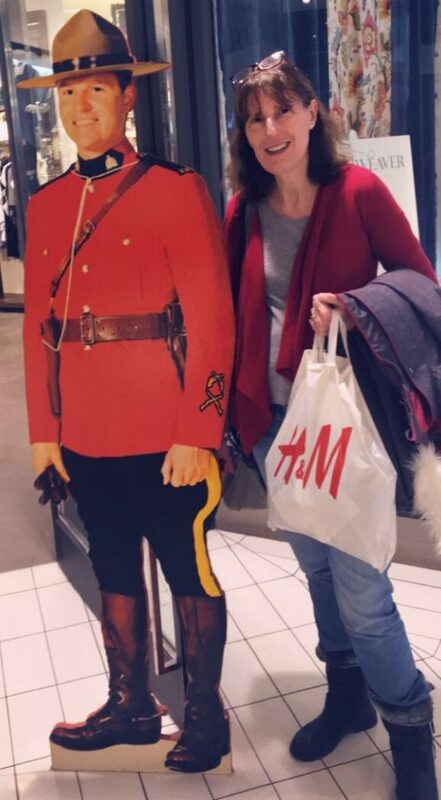 Our little trip was very much a case of ‘recharging the batteries.’ English Rose took the pic of me with the mountie! 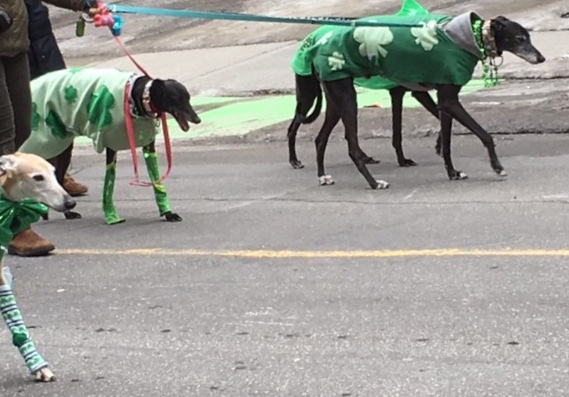 I hope you’re able to visit us in Canada one day and we can take you to Ottawa too.